Carrying on from our last look at Driver: San Francisco, where we explained all of the features tied to the multiplayer aspect of the game, we now have a rather interesting video that shows us the ‘Shift’ mechanic in action along with some of the modes that we previously got excited about. Now this may come as a shock to you, but on first impressions, the ‘shift’ mechanic that you can get in Driver: San Francisco seemed like a rather nicely added feature that could spice up online play. On the other hand, we had a little think and want to retract (in part) some of our premature impressions. One of our gripes is that we don’t really see the point in been able to drive pretty well, only to be foiled by someone who has literally just jumped into a car next to you to take your hard earned glory away from you. Gripes aside, it may just be one of those things you have to experience for yourself. For the moment though, we are branding it as Marmite. You’ll either love it, or hate it. As for the video, the content on show does look promising. There are plenty of modes to keep you satisfied. You can either go back to classic mode (no car shift-swapping) if you prefer to prove you are the best driver of your friends and colleagues. As we expected, the views are somewhat negative too. Many, such as this user are complaining that the game has taken the mechanic straight from BLUR, making this as unique as a generic mobile phone. OMG what a FAIL.So game like Blur which emphasise on this ability’s and driving didn’t succeed now Ubisoft are going to make one of realistic IP and turn into BLUR ? Others are being optimistic about the fun-factor though, and say that even though it does resemble BLUR, it still has a lot of nice things going for it. 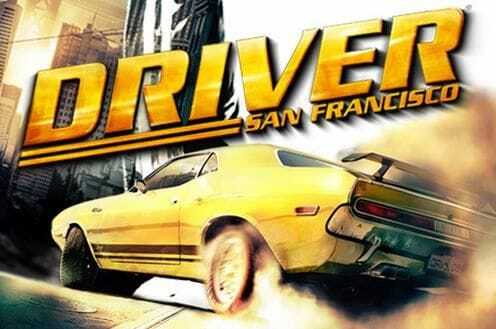 What are your opinions on Driver: San Francisco’s multiplayer modes? Check out the video below and give us your thoughts.